Following a flawless run on the local scene in Bangkok, Thailand, Shannon “OneShin” Wiratchai joined the world’s largest martial arts organization. 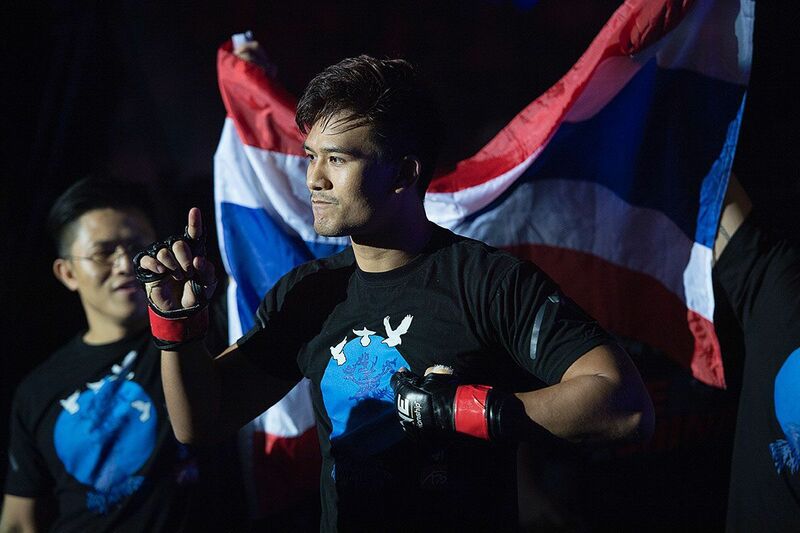 In August 2012, the Thai made his ONE Championship debut. He faced Mitch “The Dragon” Chilson at ONE: PRIDE OF A NATION, and has been a regular fixture in ONE Championship ever since. The 29-year-old lightweight has competed in 11 matches during his six-year promotional stint, and has been responsible for more than his fair share of highlight-reel moments in that time. His tenure has brought fans excitement and taught him many valuable lessons. Here are Wiratchai’s favorite ONE moments. ONE has broken new ground and raised the popularity of mixed martial arts in many Asian countries, including Thailand. The promotion hosted its inaugural Thai event, ONE: KINGDOM OF CHAMPIONS, at Bangkok’s Impact Arena in May 2016. It was right in Wiratchai’s backyard, so the lightweight was thrilled to get the call to face Myanmar Lethwei Gold Belt Champion Kyal Linn Aung at the show. Before he had even stepped out in front of the audience to walk to the cage, the momentous occasion had already hit home. It had been a dream from the first day he had entered the sport. He considered his role as one of the stars of the show – alongside compatriots Dejdamrong Sor Amnuaysirichoke and Yodsanan Sityodtong – to be an honor. “That was something unbelievable for me. I was crying behind the stage,” he admits. 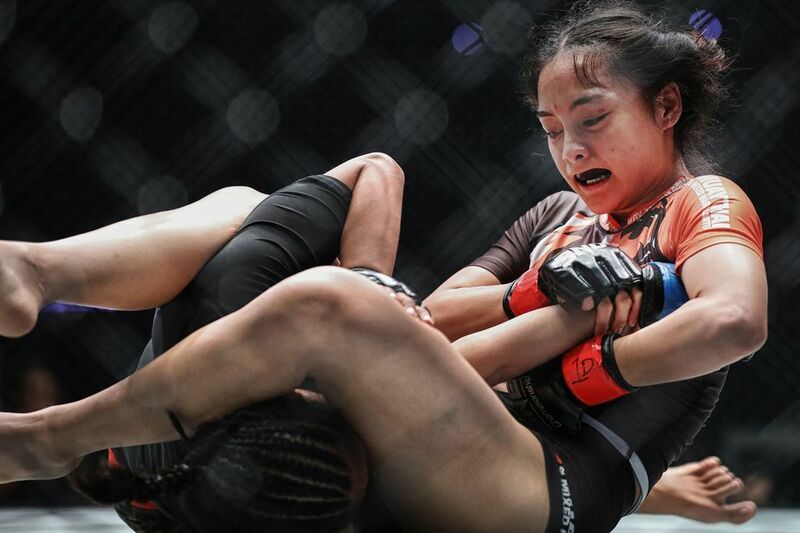 The atomweight competitor exploded onto the scene at ONE: WARRIOR KINGDOM in March 2017, and picked up a first-round TKO over Audreylaura Boniface in front of the Bangkok faithful. Wiratchai also appeared on the card, as he faced Richard Corminal later in the evening, but he put his preparations on hold until Ishige had stepped into the cage. “I thought I would be too excited to work out and warm up, so I just watched it on the TV,” he says. On that night Yodsanan, Pongsiri Mitsatit, Kritsada Kongsrichai, Sagetdao Petpayathai, and Wiratchai all won their match-ups, too, which made it one of the most successful nights for “The Land Of Smiles” in mixed martial arts. In October 2013, Wiratchai experienced a moment that will stay with him forever, but it is one he will not want to repeat. “After my second bout with Mitch Chilson in Singapore, I lost my fight purse,” he reveals. 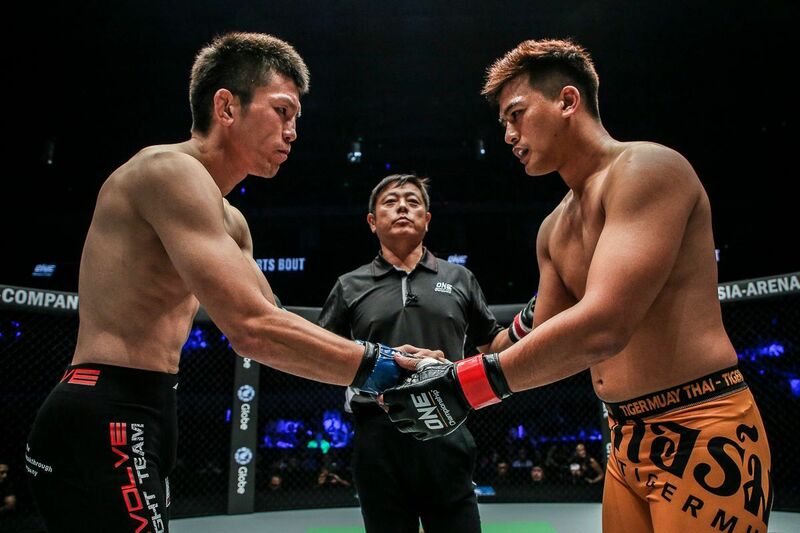 “OneShin” had picked up a huge win in an anticipated rematch, but he left the Singapore Indoor Stadium alone. With his Tiger Muay Thai teammates competing after his bout, and his cornermen busy supporting them, Wiratchai was left to juggle his belongings as he made his way out. “I was carrying my bags, my clothes, and my money in my hand, when some guys stopped me and asked for an interview,” he continues. “I finished [the interview] and kept walking to the exit, and I looked in my hands, and the money was not there. His win was enough to keep a smile on his face despite the financial hit, but the blow was reduced later when ONE officials made sure he did not go home empty-handed. Not after putting on one of the most spectacular performances of the night. “ONE paid me almost my whole purse when they found out, which was very nice of them,” he adds with a smile. Ahead of their meeting in Manila, Philippines, Wiratchai was open about his admiration for Shinya “Tobikan Judan” Aoki. The Thai star says the Japanese icon is one of his mixed martial arts idols. Though “OneShin” came up short in his quest to defeat the former ONE Lightweight World Champion when the pair squared off at ONE: REIGN OF KINGS in July, he still cites the bout as one of his greatest moments. His post-bout conversation with submission master reminded him why he loves the martial arts spirit more than anything else. “I was getting stitches backstage, and Aoki walked in. I had Rika there to translate for me. We talked and shook hands,” he recalls. “It is very stressful before and during a bout, but afterwards we could relax and say anything we felt – the real feelings, and the real respect [we have] for each other.